If you have to wear work boots they can sometimes be uncomfortable when worn for long periods of time. Spending hours standing at a machine or walking around a warehouse can take its toll on your feet. A simple way to make your working day more comfortable is to use some decent insoles for work boots. Sizes for men and women. Support for arch and heel. Support for heel and arch. Who Needs to Use Insoles for Work Boots? 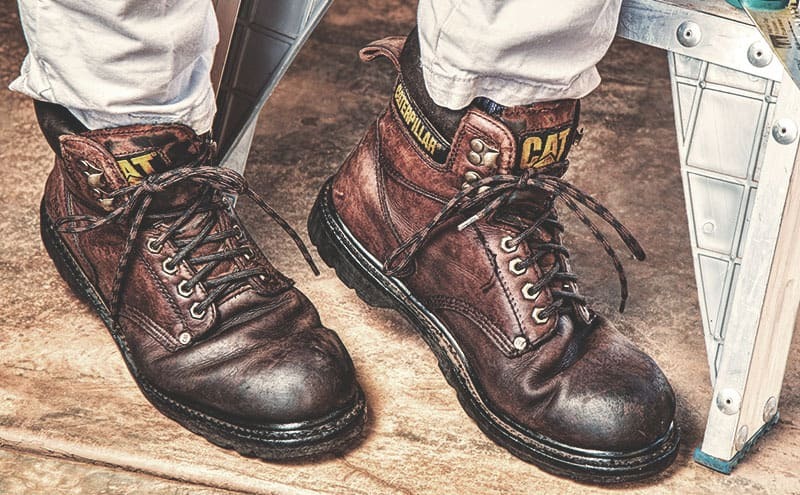 Anyone who wears a pair of work boots can use insoles to make the footwear more comfortable. Factory workers, truck drivers and construction workers wear safety boots and fitting insoles is a good option. Insoles are available for both men and women and all shoe sizes are catered for. How Do Insoles for Work Boots Work? Insoles for work boots provide a cushion between the soles of your feet and the bottom of your boot. Materials such as foam and gel are soft to stand on and the materials also act as a shock absorber. The insoles help to reduce the pressure that is put on the feet whilst you’re wearing your work boots. Insoles also help to support the arches of your feet and the heel area. When you’re standing or walking in a pair of work boots your arches and heel may be under a lot of stress. Reducing the impacts and pressure on your feet will make them less tired and the insoles may also help to prevent blisters and sores. There’s medical evidence that concluded wearing insoles in the workplace can be beneficial. How Do I Choose Insoles for Work Boots? Buy a pair of insoles that are going to fit inside your work boots so that they stay in place. If the insoles are too small they may move around and if they’re too big they won’t be comfortable. The insoles should match your regular shoe size and you can select a suitable size when ordering. Choose a pair of insoles that are made with good-quality materials so they’re durable. If the insoles are poorly made they’ll wear and will no longer be effective. Good-quality foams, gels and fabrics will last and provide the support and cushioning that you need. Buy insoles that are breathable to keep your feet cool and dry whilst you’re wearing your work boots. When you’re standing or walking in your work boots for long periods your feet are going to sweat. If the insoles retain moisture your feet will be uncomfortable and the insoles may develop an unpleasant odour. 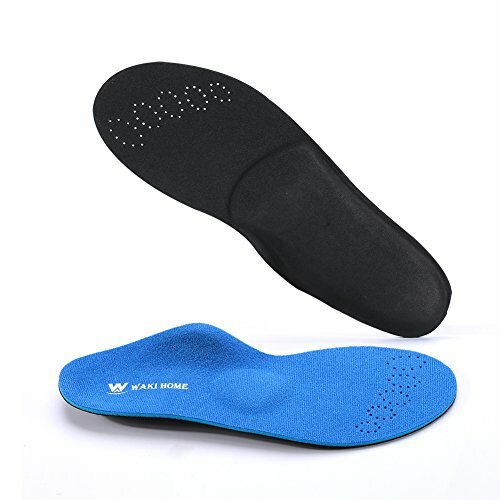 Buy insoles that are well made and durable. Use a pair of insoles that are breathable. What Are the Best Insoles for Work Boots? We’ve looked at a range of insoles that can be used in work boots and selected five products. We looked at quality, price, comfort and the materials used to make the insoles. We’ve reviewed five pairs of insoles for work boots and pointed out some pros and cons for each product. 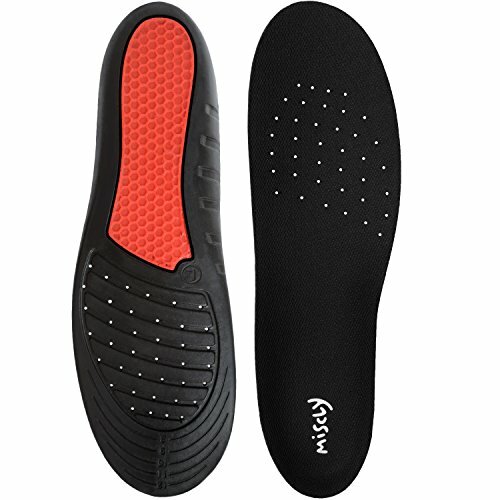 The gel comfort insoles made by Miscly have size markings which enables you to trim them to the correct size. The honeycomb design combined with gel provides a cushioned insole for comfort. The insoles are designed to support the heel and arch and there are ventilation holes to keep feet cool and dry. Customers who purchased these insoles like the fact that they can be cut to size to get a custom fit. People said that the insoles are made from good-quality materials and they’re durable. A number of customers also said that these insoles make their work boots much more comfortable to wear. Other customers who used these insoles said that they don’t give as much support as other insoles they’d used in the past. A few people had difficulty trimming the insoles to size and said they couldn’t get a good fit. Customers also said that the insoles are too thick which makes their footwear tight. 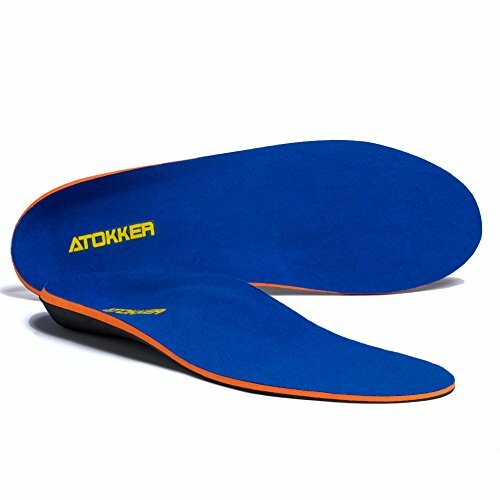 These orthotic insoles made by Atokker are available in men’s and women’s sizes and they’re suitable for most types of footwear. The insoles are made from three layers of foam and there’s an outer layer of antibacterial mesh. The cushioned insoles also give support to the heel and arch of the foot. Customers who used these insoles in their work boots said that they’re well made and durable. 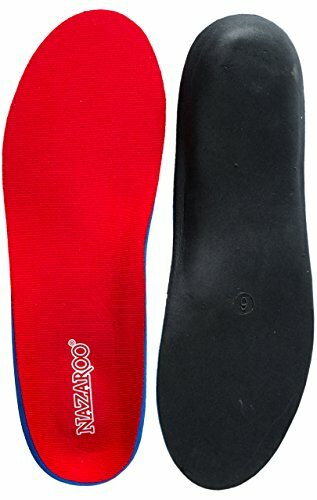 People said that these insoles don’t compress after standing or walking in the boots for long periods. A few customers also reported that these insoles are more comfortable than more expensive products available. Customers who purchased these orthotic insoles said they made their feet hurt because they’re too hard. People said the insoles are too bulky and uncomfortable around the toe area. A number of customers also said that the sizing was inaccurate and the insoles didn’t fit their work boots. These orthotic insoles made by NAZAROO are available in a range of sizes and they can be used in most footwear including work boots. The insoles contain a cushioned latex pad to distribute and minimize pressure on the foot. The insoles also cradle the heel and provide some support for the arch of the foot. Customers who used these insoles for work boots said they were comfortable when standing or walking for long periods. Customers commented that the insoles are well made and they last longer than other products they’d used. People also said that the sizing is accurate and the insoles fitted their shoes properly. A number of customers who purchased these insoles said they’re too hard and they made their feet sore. Others reported that the insoles flatten out after a few days of use and no longer provide any cushioning. A few customers also said that the insoles are too thick and bulky to fit in their footwear. The WAKI HOME orthotics insoles fit most types of footwear and are available in a range of sizes for both men and women. The foam and fabric used to make the insoles provides cushioning for the feet. The insoles also support the forefoot, arch and heel and there are ventilation holes to make the insoles breathable. Customers who used these insoles were impressed with the cushioning and support for the heel. People said that they were happy with the quality of the insoles for the price paid. Customers also commented that the insoles are comfortable and they don’t compress when using them for long periods. Some users who purchased these insoles said the support for the arch was too high and uncomfortable. A few people said that the insoles are too hard and they would’ve preferred them to be softer. A couple of customers also reported that they developed blisters on their toes after using these insoles. 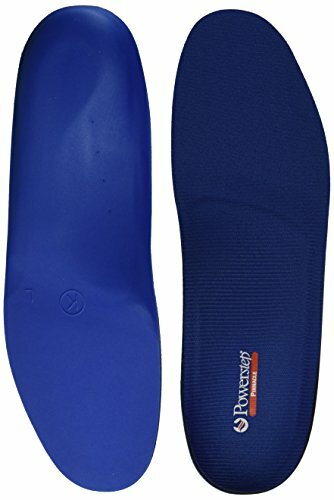 The Powerstep pinnacle insoles are available in a range of sizes for men and women and are suitable for work boots. The insoles have a foam base with a dual cushioned layer for comfort. The insoles give support to the arch of the foot and the fabric is designed to keep the feet cool and dry. People who used these insoles said that they make their work boots more comfortable to wear. Customers also said that the insoles support the arch of the foot well and they ease heel pain. A number of customers reported that these insoles are better than custom and prescription insoles they’d used. Some customers who purchased these insoles said they’re not durable and show signs of wear after a few weeks of use. People said that the heel cup tends to go out of shape which makes the insoles uncomfortable. A few customers commented that the insoles were too thin and didn’t provide adequate cushioning. Heel cup goes out of shape. All the insoles we’ve reviewed can be inserted into a pair of work boots to make them more comfortable. The insoles are all reasonably priced and well made using good-quality materials. All the products that we looked at can be used by men and women. After looking at each model the best insoles for work boots are the Miscly Gel Comfort Insoles. These insoles are good value for money and are well made making them durable and suitable for regular use. The gel offers a good level of comfort as well as supporting the heel and arch of the foot. We particularly like the fact that these insoles can be cut to size so that they’ll fit all types of work boot.